The waters off Yemen are congested and cluttered. If we accept the conclusions of “Global Strategic Trends – Out to 2045”, this is likely to become a normal operating environment for maritime operations short of total war. Yet the nature of this environment, and how the Houthis have acted, is worthy of further consideration. The attacks at sea have included highly sophisticated actions, not normally associated with rebel groups such as the Houthis. In 2016, HSV-2 Swift(a fast cargo ship owned by the UAE government) and USS Mason (Arleigh Burke Destroyer) were attacked with anti-ship missiles, which open source analysis assessed to have included the relatively advanced C-802. Swift was nearly completely gutted by the subsequent fire, but USS Mason, at high alert after the attack on the Swift, defeated the incoming missiles. 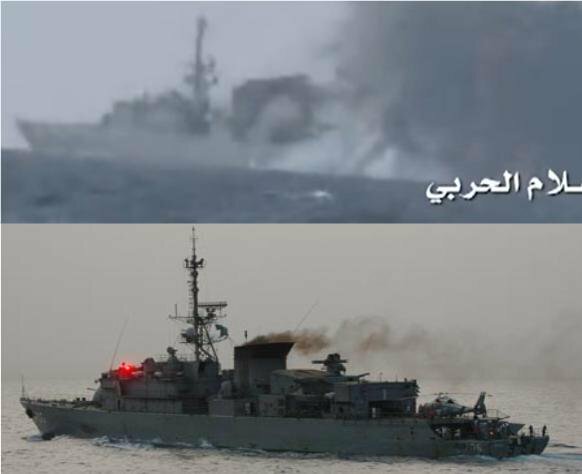 The Saudi Frigate Al Madinah was attacked in early 2017. 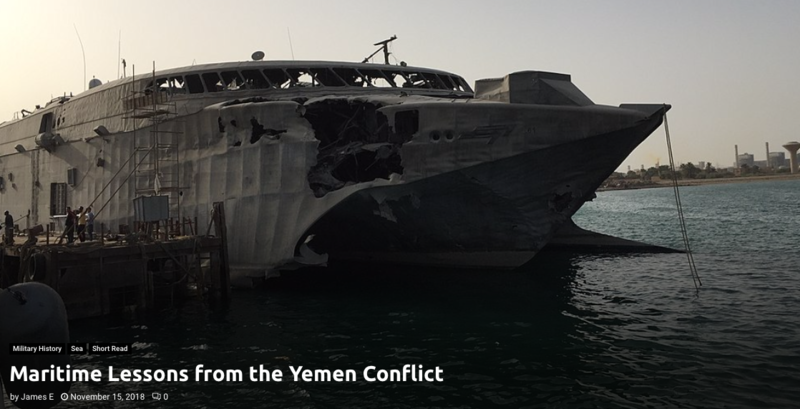 Al Madinah was attacked by small craft (video here), which the Houthis claimed included a remote controlled WBIED, although some Saudi sources claimed that the boat was piloted by a suicide bomber. The French-built ship was not a particularly modern design, but nevertheless had a relatively capable suite of defensive measures against small craft. For unknown reasons they failed to intercept the small craft and the frigate sustained serious damage and significant casualties, requiring it to return to port for extended repairs. 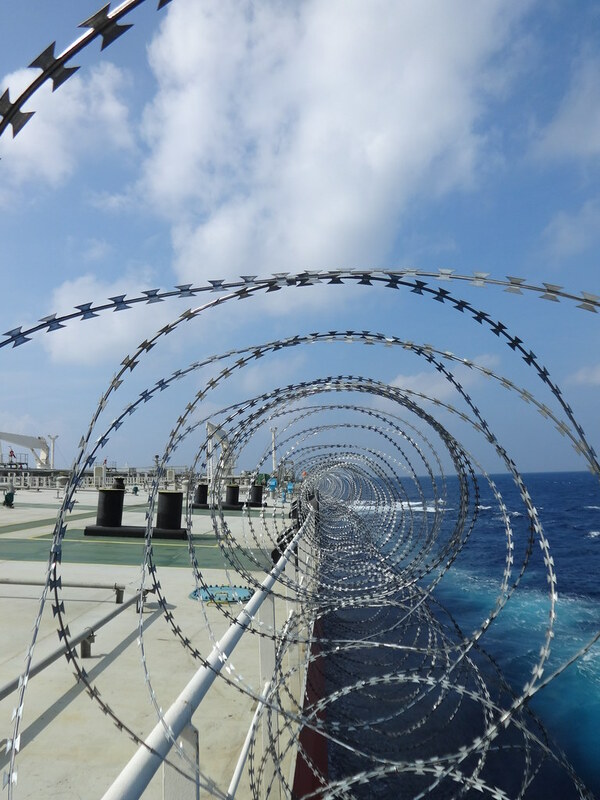 Looking back on the attacks carried out in the Southern Red Sea and the Bab el Mendeb Strait, it is striking that few merchant ships have been hit – apart from some owned or operated by the members of the Saudi led coalition. This is interesting as it implies that the Houthis are making significant effort to ensure that they do not risk further international counter-action that would surely follow. They are thus operating under a significant self-restraint which massively limits their freedom of action at sea, although we should understand that even with this restraint there are still risks of miscalculation or mistakes. In the maritime domain we all too often make assumptions that non state actors may operate with few constraints or restraints. I would suggest that the lessons here are that we should always look for ways to induce our enemies to impose restraints on their action, and when conducting our planning, we should carefully evaluate how to exploit their restraints. 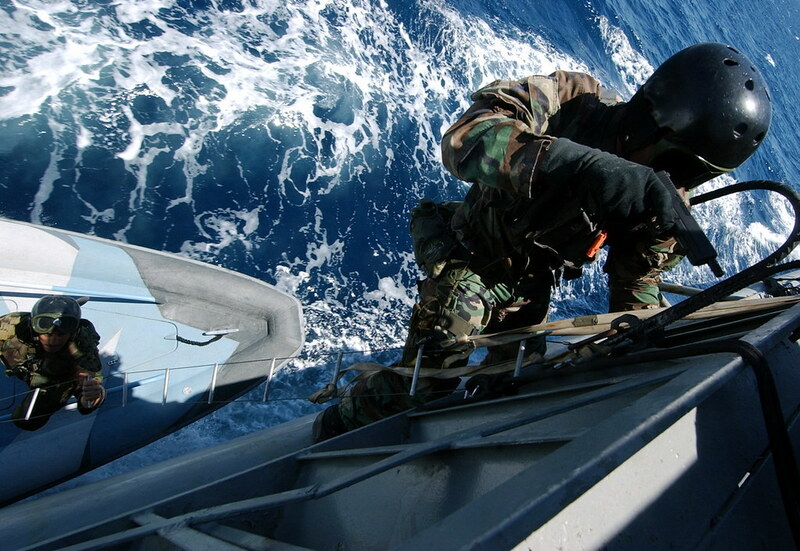 To conduct operations in such an environment, the force must be able to protect itself simultaneously from anti-ship cruise missiles, mines, and small boat attacks including WBIEDs. To do this, the RN’s current force has an advanced mine countermeasures capability and the potent Type 45 air defence destroyer. The RN’s mine countermeasures vessels (MCMVs) have defences against small boat threats, but due to their size and role are limited in their ability to detect such threats at range and lack the required level of defence from missiles. The Type 45 has a superb missile defence capability, but to provide this has to be a large vessel which therefore cannot operate in shallow waters and is harder to defend against small boat threats. 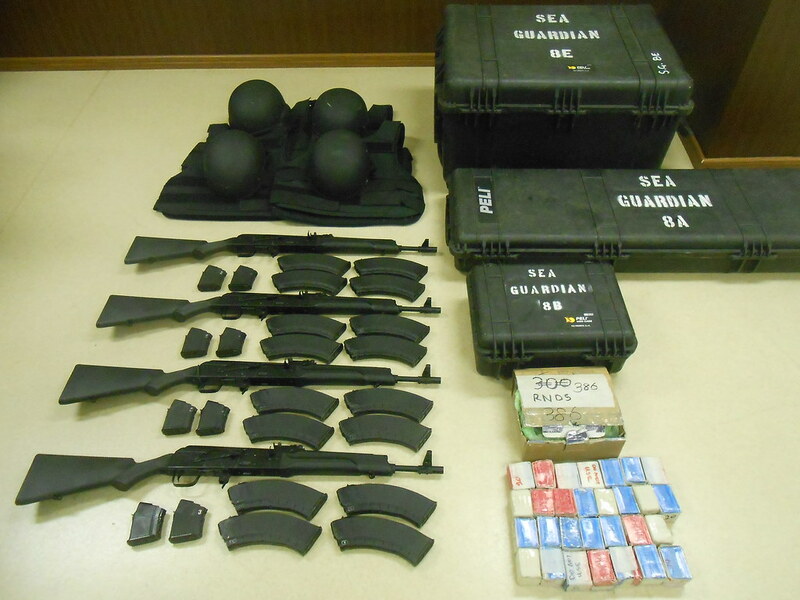 Whilst neither can safely operate alone, combining them enables a holistic defence. The Type 31e light frigate is expected to join the Fleet in 2023. By virtue of its smaller size, it will be able to operate much further inshore than the Type 45, but if it carries the Sea Ceptor missile will be able to defend itself (and probably other ships close to it) from missile attack. It is likely to have much better defence against a small boat threat than MCMVs, not least through its ability to carry a helicopter such as the Wildcat and its more advanced sensors and weapons. The potential deployment from T31e of unmanned or autonomous underwater systems for mine clearance could even remove the need for a dedicated MCMV in some situations. The Type 31e therefore offers an attractive compromise in this kind of environment, releasing other units to important tasks such as the defence of a carrier strike group. This type of vessel has frequently been criticised as having utility only in low end or constabulary operations, and of very limited utility in high end conflict. If we accept the conclusions of Global Strategic Trends (GST) that this operating environment is likely to be more prevalent throughout the spectrum of conflict, then there is a lesson that small capable frigates have a key place in Navies who need to project power globally. This includes their use in high end conflict, where these ships can operate closer inshore (either alone or in groups) to contain threats and prevent risks to larger assets such as carrier strike groups.